FIRST FLOOR 2 BEDROOM CONDO! This stunning unit features 2 garage parking spaces, 2 bedrooms with a separate laundry room/office, neutral paint, and plantation shutters! 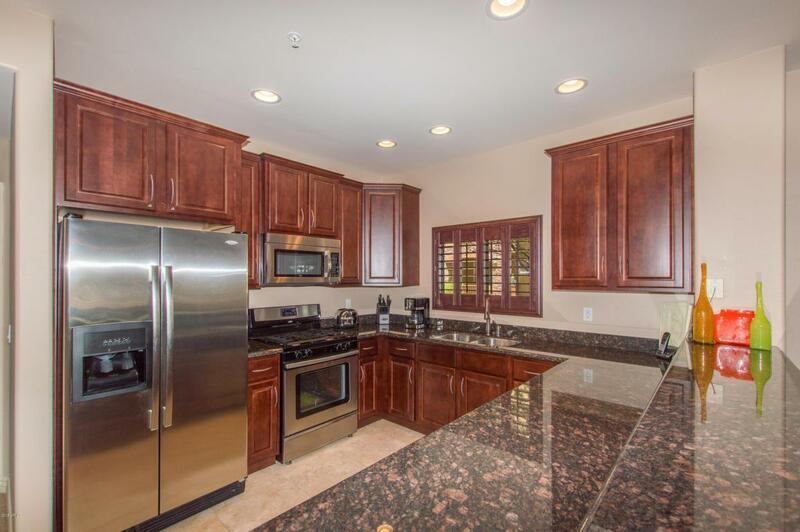 Your open kitchen offers granite counter tops, a breakfast bar, stainless steel appliances, with dark cherry cabinets. 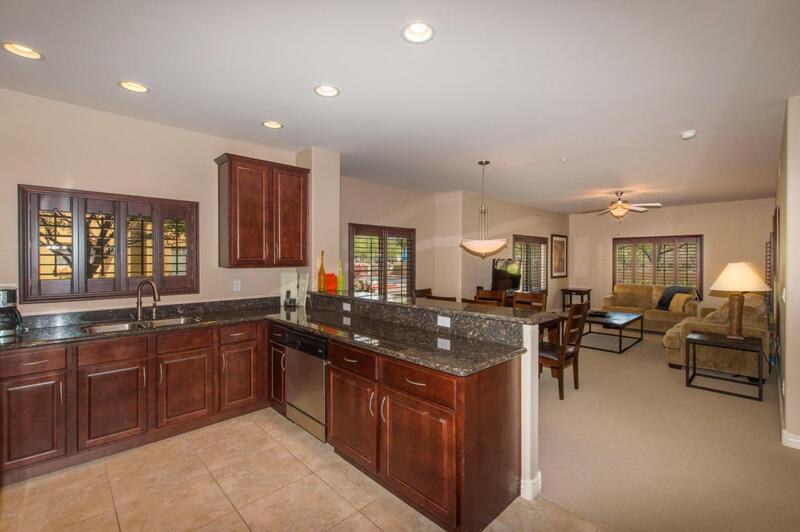 The master bath has double sinks, granite counters, a large closet, and tiled walk in shower. 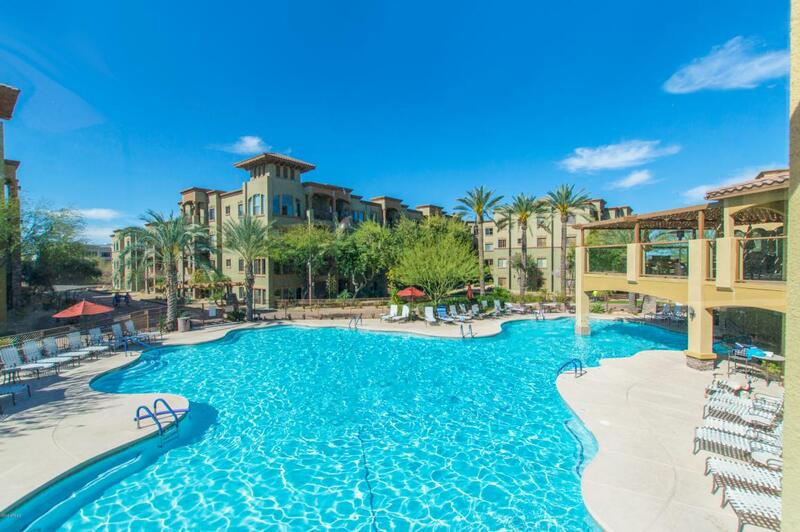 This is a FANTASTIC COMMUNITY WITH LUXURIOUS LIVING! 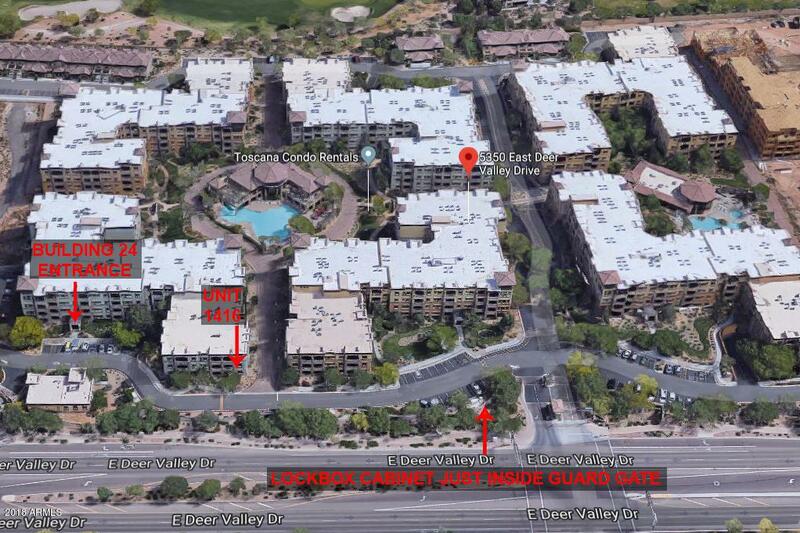 Toscana is a beautiful gated complex in North Phoenix. Amenity features pools, spas, personal concierge, 24 hour gated security, workout facility, tennis courts, BBQ area, clubhouse, and SO MUCH MORE! This is a GREAT UNIT. Don't miss out. Stop by today! **Furniture is available on a separate bill of sale.